A visit to the Italian Air Force base at Trapani-Birgi, Sicily, to witness the deployed Italian Air Force aircraft of exercise Vega 2017, part of Joint Stars 2017. Report and photos by Renzo Del Bianco. The Italian Air Force exercise Vega 2017, the air operations component of the exercise Joint Stars 2017 (JS17), Italy's largest national defense exercise event of 2017, took place from October 16 until 26. Vega 2017 involved several Aeronautica Militare (Italian Air Force) air bases, including Trapani-Birgi where most the participating aircraft were deployed. Joint Stars 17 (JS17), organized by the Comando Operativo di vertice Interforze (Joint Operations Command), was designed to train commands and forces of the Italian Armed Forces focused on inter-force integration and interoperability to conduct future national, multinational and coalition operations in the context of an international crisis. The first phase of JS17, named Virtual Flag 2017, was a CPX/CAX (Command Post Exercise / Computer Assisted Exercise) carried out in June by the Aeronautica Militare at the Poggio Renatico Air Operations Center and focused on planning of air operations during peacekeeping missions. The second phase of JS17 started on September 25 as a CPX and continued with the LIVEX (Live Exercise) from October 16 to 27. Together the army, navy and air force deployed more than 3600 troops for the LIVEX off the coast of Sicily. Exercise Vega 2017 of the Italian Air Force was held in this LIVEX phase of JS17. The LIVEX scenario replicated a Crisis Response Operation (CRO), including a Non-combatant Evacuation Operation (NEO) for the evacuation of compatriots in danger from the fictional country, and an amphibious operation with joint participation of Italian Navy and Army which allowed them in achieving and certifying the Interim Operational Capability (IOC) of the National Sea Projection Capacity. With Vega 2017 the Aeronautica Militare had to ensure aerial superiority of the area of activity and conduct air operations to support the other Armed Forces, ranging from Close Air Support (CAS) and Suppression of Enemy Air Defense (SEAD) to tactical transport of personnel and evacuation of injured civilians. 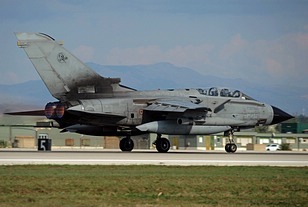 Most of the aircraft operated from Trapani-Birgi, which in addition to the 37° Stormo F-2000 Typhoons hosted the deployed F-2000 Typhoons of 4° and 36° Stormo, EA-200B Tornado ECR and A-200C Tornado IDS aircraft of 6° Stormo, A-11B AMXs of 51° Stormo, and a G550 CAEW from 14° Stormo. The HH-139, HH-212 and HH-101A helicopters operated from Decimomannu air base, Sardinia, in addition to 61° Stormo T-346As operated by the R.S.S.T.A. (Reparto Sperimentale e di Standardizzazione al Tiro Aereo) to present the opposing 'Red' air component together with F-2000 Typhoons of 4° Stormo operating from their home base at Grosseto. Other Italian Air Force aircraft (MQ-9 Predator B, KC-767, C-130J, C-27J) also flew from their home base. Representing the international nature of todays and future operations was a contingent of Hellenic Air Force F-4E AUP Phantom IIs of 339 Mira from Andravida, deployed to Decimomannu air base. The Phantoms took part in Vega 2017, flying with both Blue and Red air components. The airport of Trapani–Birgi is a busy civil airport named “Vincenzo Florio Airport” on Sicily as well an active Italian Air Force air base. 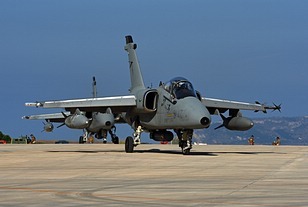 The air base was established in 1961 and is named after Lieutenant Livio Bassi, a pilot from Trapani decorated with Gold Medal for Military Valor. 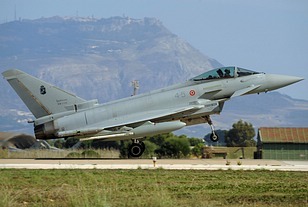 It is home to the 37° Stormo and the 18° Gruppo, today flying the F-2000 Typhoon. The base also hosts the 82° Centro CSAR, subordinate unit of the 15° Stormo CSAR in Cervia, operating the HH-139. Trapani is also a Forward Operating Base (FOB) of the NATO AEW&C Force, supporting the NATO E-3A AWACS and crews deployed from Geilenkirchen AB. The Trapani FOB is manned by Italian Air Force personnel directly assigned to the E-3A Component. 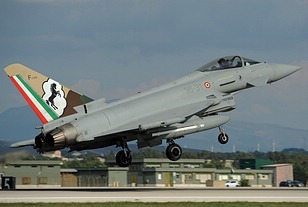 Classified as “military airport open to civilian traffic”, the flight assistance services (radar, air traffic, ground control and meteorology) for civilian flights is provided by the Italian Air Force. 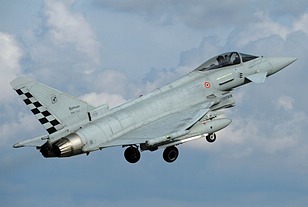 To minimize the impact on the civilian flights, the Italian Air Force in coordination with the Ente Nazionale per l’Aviazione Civile (ENAC) decided to plan the exercise flying in two waves a day, one in the morning and one in the afternoon, with sequential take-off of all the aircraft involved in the exercise. 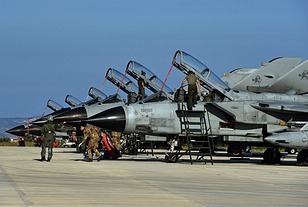 I want to thank the Aeronautica Militare for enabling the visit to the air base of Trapani. Specifically thanks to Major Michele S. and Captain Andrea C. of the 2nd Public Information Office, Aeronautica Militare.